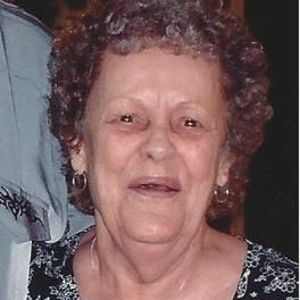 SACRAMENTO- Wanda Lee Dossett, 77, of Sacramento died Friday, September 11, 2015 at 1:27 PM at Baptist Health in Madisonville. Ms. Dossett was born August 30, 1938 in Muhlenberg County. She is preceded in death by her husband, Ray Dossett. Survivors include her daughters, Debbie Turley of Sacramento, Susan (Mark) Shephard of Beaver Dam; grandchildren, Terena (Mike) Kemper of Sacramento, Stewart (Tiff) Turley of Calhoun; great-grandchildren, Gavin Kemper, Courtney Kemper, Merci Grace; brothers, Bud (Jessie) Whitmer of Millport; Jimmy (Regina) Whitmer of Millport. Funeral services will be Monday, September 14, 2015 at 11:00 AM at Tucker Memorial Chapel in Sacramento with Rev. J.W. Haire officiating. Burial will be in the West Union School House Cemetery. Visitation for Ms. Dossett will be Sunday, September 13, 2015 at 2:00 PM at the funeral home. Online condolences can be made at www.tuckerfuneralhomes.com. The beautiful and interactive Eternal Tribute tells Wanda 's life story the way it deserves to be told in words, pictures and video. so sorry to hear about your mom. prayers for you all. Debbie & Susan you had a very good & wonderful mother I'm so sorry to see her go . God has called her home & I know she is so happy & there is no more pain. You girls done such a good job on taking care of her. I love you both.